We're just one week away from the number one pie holiday of the year, and for a little bit of guidance, I'm participating in a Thanksgiving pie twitter chat hosted by American Food Roots! 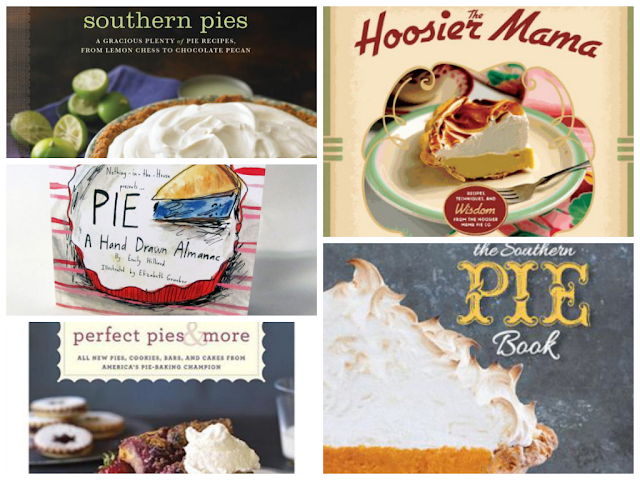 I'm honored and excited to be included among this group of pie heronies, which includes Nancie McDermott, Art of the Pie's Kate McDermott, Paula Haney of Hoosier Mama Pie Company, America's Test Kitchen's Julia Collin Davison, Jan Moon of Dreamcakes Bakery, and D.C.-area pastry chef Tiffany MacIssac. Get more info here and join us tomorrow, November 22nd at 10am EST, via hashtag #TGPieChat for Thanksgiving pie advice, crust tips, regional varieties, and historical tidbits. It's going to be a fun conversation with some real pie pros.